Sometimes pictures have backstories just as hilarious as the memes that spawn from them. Hiromiki "Itabashi Zangief" Kumada and Naoki "Nemo" Nemoto had an exhilarating losers bracket match at Capcom Cup and it ended with Nemo closing out for the win. As customary in fighting games, a handshake played out but Nemo's sly grin as he stuck out his hand, and Itazan's hesitation to shake it, spoke volumes about a rivalry that has been brewing all year. The rivalry began at the beginning of the year during Topanga League 6 where Itazan's Zangief was getting the better of Nemo. Since that time Nemo has expressed his hate for the character and has been taking jabs at Itazan in the process. Eventually, Nemo turned the match-up around and went on his own streak of beating Itazan and on top of popping off he has taken every opportunity to revel in victory at Itazan's expense. On several occasions, Nemo has been denied the handshake by Itazan with Nemo grinning all the way. 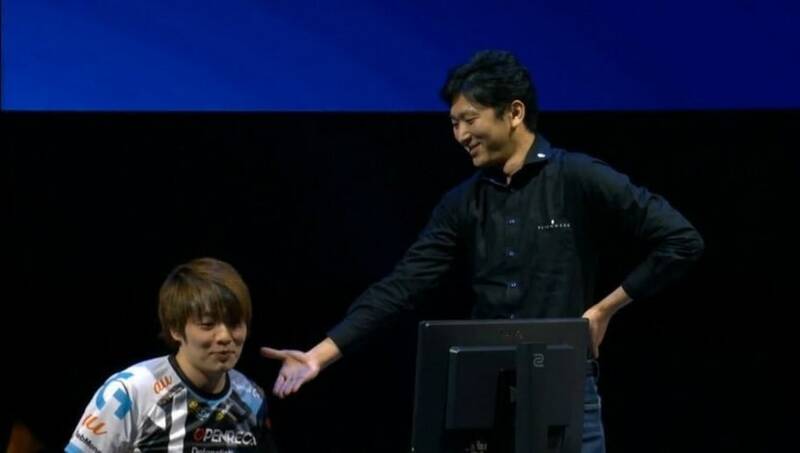 This all came to a close during Capcom Cup where Itazan finally grasped Nemo's hand for a firm handshake. While the handshake may seem like the final chapter in the rivalry, many speculate that this may be just another turning point in a long saga.